“If you can’t trust me, we can’t work together,” a doctor told a young woman who later became my patient. This woman lived in a tiny town in rural Texas where there was only one specialist equipped to handle her condition. 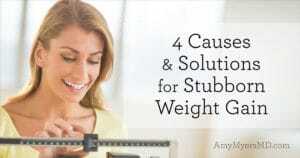 But because she dared to question conventional medical wisdom, she was left without any treatment at all. I don’t want anyone to have to be in her position again. I’ve seen the science, I’ve reviewed the research, and I’ve treated thousands of patients. 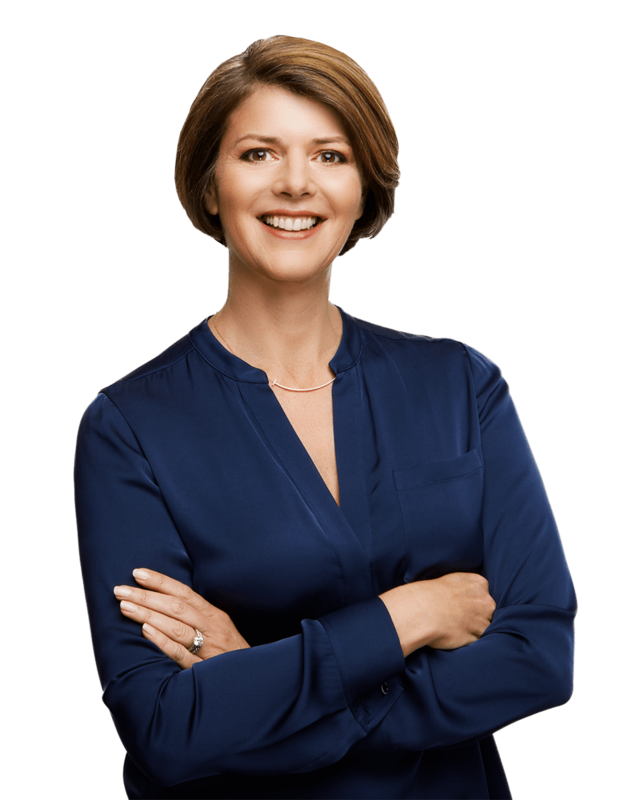 As both physician and patient, I’m confident that The Myers Way® works, and I want you to be confident, too. So let’s take on conventional wisdom, myth by myth, dismantling each misconception and replacing it with the truth. 1. Autoimmune disorders can’t be reversed. Yes, there’s a genetic component in autoimmune disorders. But as we have learned from the brand-new field of epigenetics, genetic expression can be modified. For you to develop an autoimmune disorder, something in your environment, diet, or personal circumstances has to turn on the group of your genes that causes autoimmune disorders. Through diet, intestinal healing, and reducing your toxic burden, you can instruct your problematic genes to turn off again, thereby restoring your beleaguered immune system to health. 2. Your symptoms won’t disappear without harsh medications. It’s sad to say, but most conventional practitioners dismiss the importance of nutrition as a major factor in our health. The very concept of a toxic burden is foreign to most health care professionals, let alone the power of removing that burden from those who suffer from autoimmune disorders. As a result, when it comes to fighting autoimmune conditions, conventional medicine really has only one weapon in its arsenal: drugs. Instead of using medicine to suppress the immune system, The Myers Way uses food and supplements to strengthen and support it while you make sure to heal the gut. Medications are not your only option in treating autoimmune disorders. 3. When you treat an autoimmune disorder with medications, the side effects are no big deal. I wish this myth were true — but it isn’t. Conventional practitioners, trying to bring aid and comfort to their patients, are likely to reassure you that your medications won’t cause side effects and that the side effects they do cause are minor. As a former “conventional medicine patient,” I know this all too well. In fact, the side effects of the drugs most often used to treat autoimmune disorders are common, frequent and disruptive. 4. 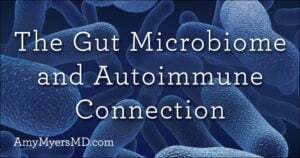 Improving digestion and gut health have no effect on the progression of autoimmune disorders. I heard it from my doctors when I was a patient, and I hear it from my colleagues now that I’m a functional medicine physician: The immune system and the digestive system are two different aspects of the body, and never the twain shall meet. Here’s the problem with ignoring the gut: Since the majority of your immune system is located there, it is essential to focus on the digestive system and heal your leaky gut if you want to reverse your autoimmune symptoms. In order to be healthy, you must have a healthy gut. And I can show you thousands of patients who have seen immune system results — almost immediately — from digestive system healing. 5. Going gluten-free won’t make any difference to your autoimmune disorder. The idea that gluten doesn’t make any real difference to your condition is one of the most dangerous myths about autoimmune disorders. Taking apart that myth might be the single greatest service I can do for you. 6. 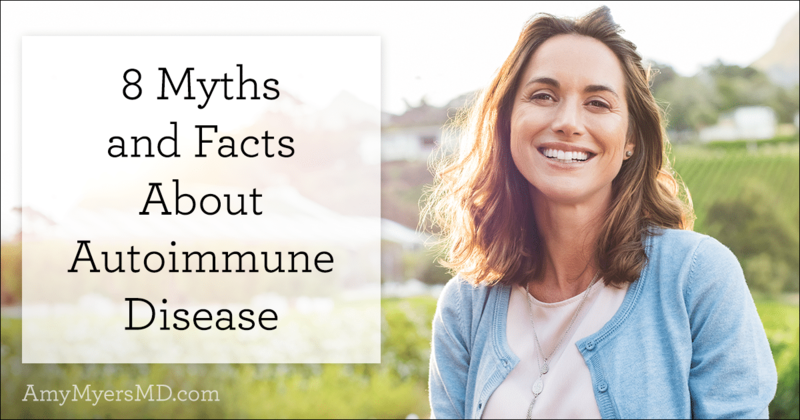 Having an autoimmune disorder dooms you to a poor quality of life. These are the kinds of problems that someone with an autoimmune disorder can frequently expect — but they are by no means inevitable. Although conventional medicine would counsel you to accept a poor quality of life as the likely outcome of your condition, I’m here to tell you that it is not at all inevitable. If you follow The Myers Way, you can expect to be symptom free, pain free and vigorous. 7. When it comes to autoimmune disorders, only your genes matter, not the environment. Well, genetics does account for about 25% of the chance that you will develop an autoimmune disorder. But that means the remaining 75 percent of the picture is environmental — and therefore up to you. I find that an incredibly empowering statistic. So don’t become a prisoner of your genetics. Whatever genes you were born with, you have the power to manage your body’s response to autoimmunity — and the power to create a happy, healthy life. 8. Your immune system is what it is, and there’s nothing you can do to support it. Conventional practitioners treat autoimmune conditions by medicating the symptoms and suppressing the immune system. The Myers Way treats autoimmune conditions by strengthening the immune system, which includes cleansing and supporting the gut. My approach is fundamentally different. I feel hope every day I go into my office and see the patients whose lives have been changed. I want to share that hope with you, so you can let go of the myths that surround you and embrace the promise of this powerful approach.